Microsoft today launched Microsoft Mediaroom, the latest update to its IPTV software platform. A number of new multimedia capabilities, including music and photo sharing around the house, picture-in-picture features and digital TV support have been added. Previously known as Microsoft Internet Protocol Television, Microsoft Mediaroom allows you to listen to music, view photos and otherwise share content stored on PCs around the house on your TV. 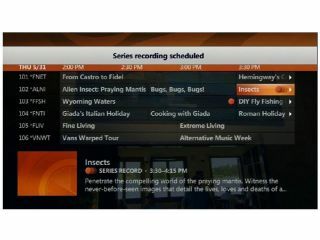 Microsoft also introduced the Microsoft Mediaroom Application Development toolkit, which enables service providers and third-party developers to create TV-based applications that run on the platform. It offers MultiView capabilities so you can watch multiple channels, TV shows and camera angles on the same screen. The new version of Microsoft Mediaroom also adds digital terrestrial TV support. It offers better support for web services and applications as well. This means content providers can create richer video-on-demand services, games and interactive TV services. Microsoft said Mediaroom will enable some applications that access the internet without a web browser, so you can stream online video or look at photos uploaded onto the internet.